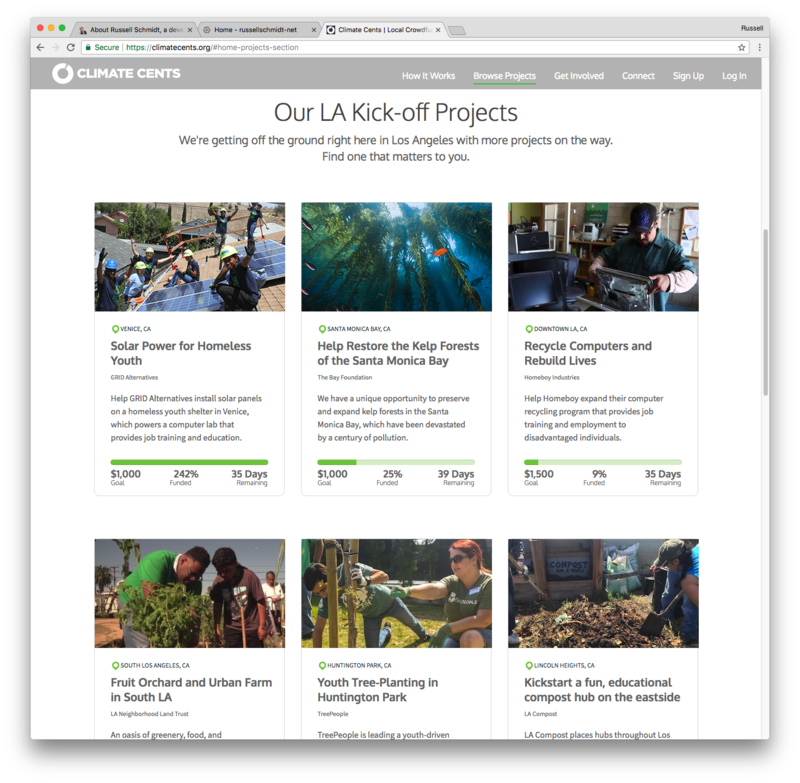 Climate Cents makes it easy to back local projects that fight against climate change and make a measurable impact. 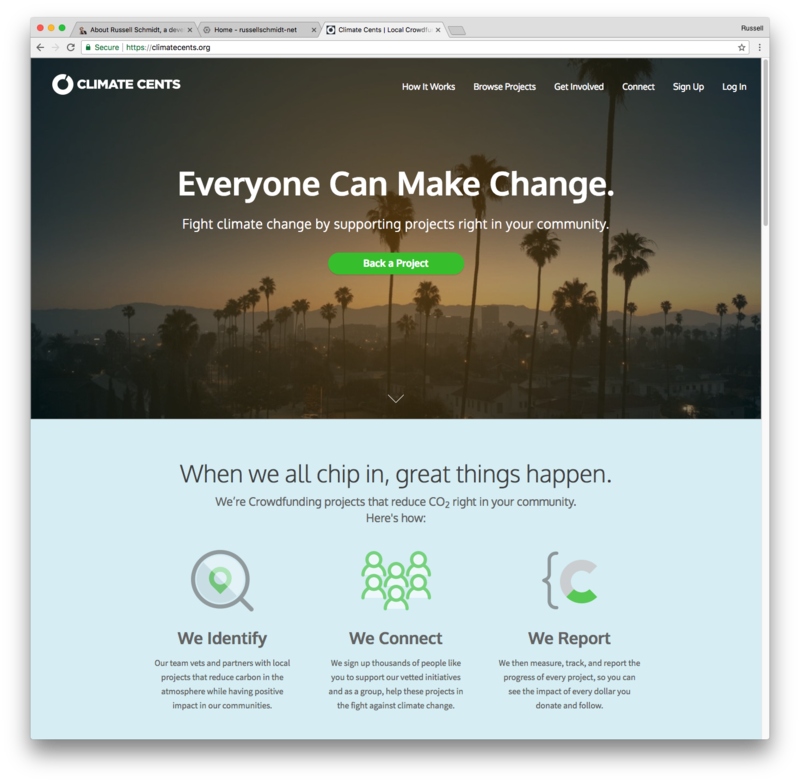 A crowdfunding platform for local climate change mitigation projects, the concept is that man-made climate catastrophe can be averted with concerted local efforts that emphasize that the problem can be solved one project at a time. Small donations can make a difference with individual small scale projects and in the aggregate across thousands of users. 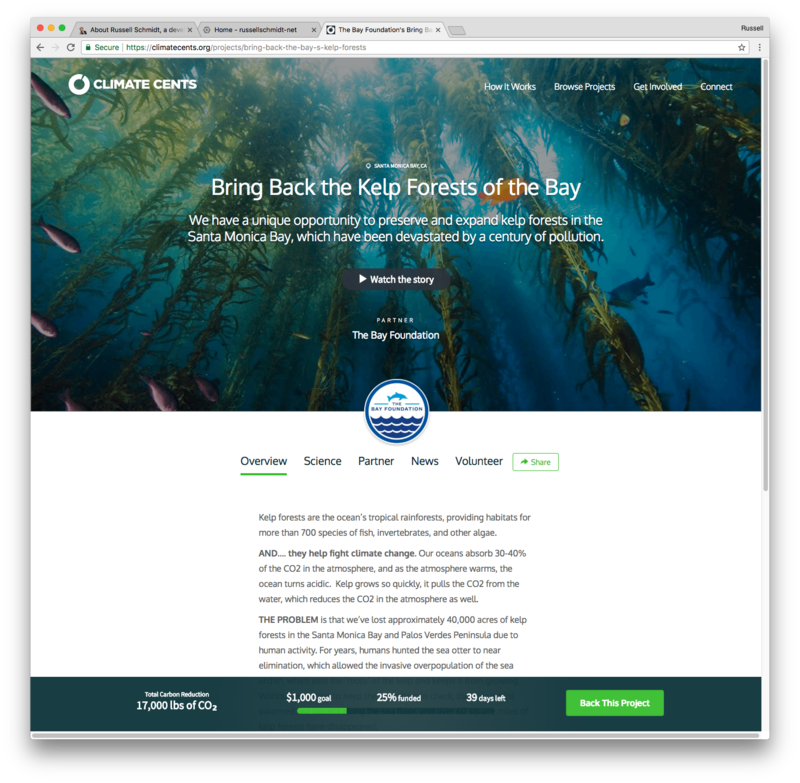 The vision for the platform is one of making it easier for individuals to measure their own carbon offsets via donation to partners featured on the website. At peak traffic on Earth Day after launch we sustained 80,000 hits in one day on the site without downtime. Designed by Ken Thelian, the site is attractive.